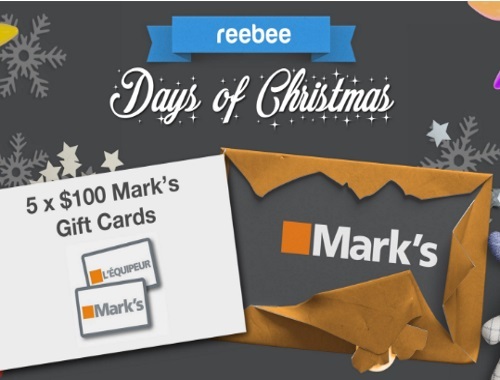 Reebee's Days of Christmas giveaway today is for Mark's! Enter to win 1 of 5 $100 Mark's gift cards! Click on the link below to enter the contest, fill out the form. Entries for this contest are only open today, Thursday, December 15, 2016.